Castor Design landed on the art deco lighting and furniture scene in 2006, boasting a youthful spirit with their varied recycled works. 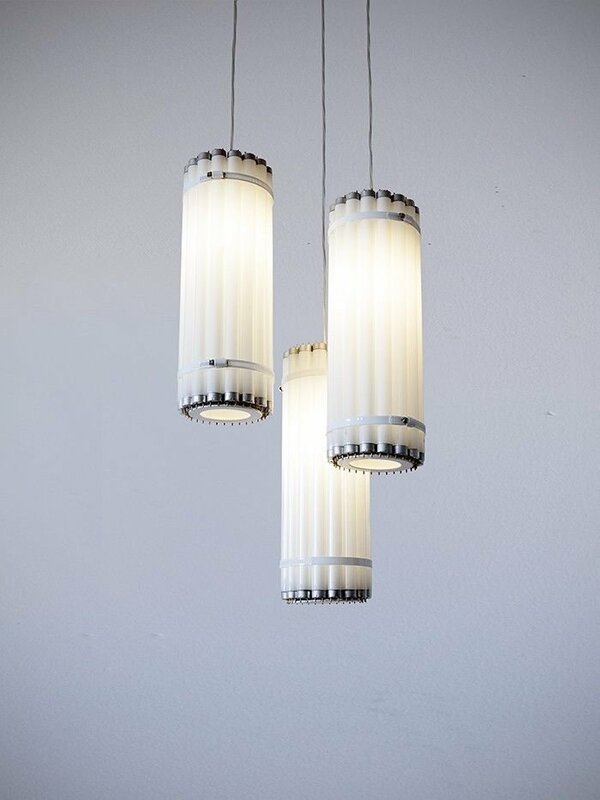 Kei Ng and Brian Richer, founders of Castor Design, focused on creating custom lighting and furniture options made out of recycled and reused materials, such as burned out light bulbs, to give discarded elements a new life. Eclectic chandeliers, minimalist pendants, and chic tables and stools give Castor Design a certain edge in the lighting and design markets.